The 5th generation SEAT Ibiza was unveiled at the Geneva Motor Show earlier this year. SEAT’s sales are up and now is the perfect time to re-ignite sales of their most popular car. The new Ibiza is still recognisable as an Ibiza on the outside, but everything else has changed. The car now sits on Volkswagen’s newest platform, the MQB AO, and is the first car in the group to use this modular platform. The MQB AO platform improves the performance of the vehicle while offering a lightweight body and massive structural stiffness. The new Ibiza’s bold exterior was a Red Dot Design Award winner in 2017, and it is more sculpted looking than its predecessor. If you can opt for the LED signature headlights as they add to the sporty character of the car. The vehicle is available in a range of different colours, as shown below, and our top pick is the Desire Red. 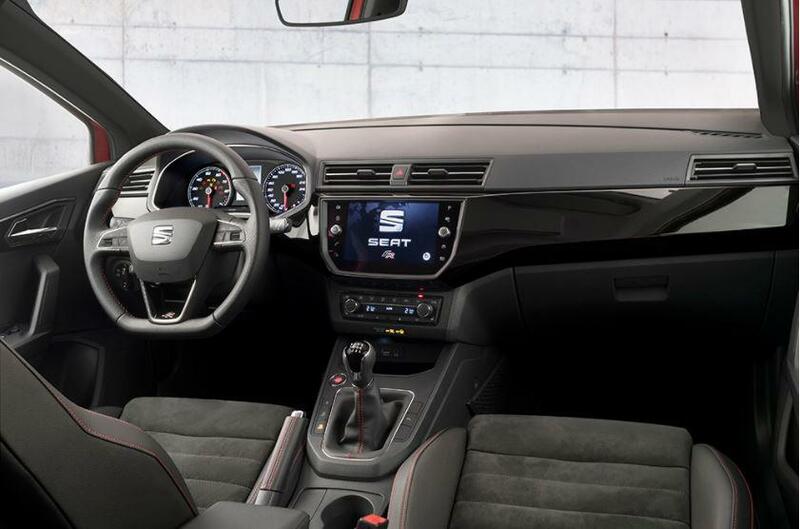 Inside the Ibiza you will find a sleek new dashboard, adjustable mood lighting and even more space to play with. You will find the new Ibiza is noticeably larger inside, this is most notable in the rear, and comes with 355-litre boot space. The SEAT Ibiza comes in four trims, S, SE, Xcellence and FR. The S trim is the entry level and comes with a 5-inch touchscreen, Front Assist, Aux-in and USB (unfortunately to get Bluetooth you need to opt for the SE trim). The SE trim also features a multifunctional steering wheel as well as optional Adaptive Cruise Control, Pedestrian Protection, and Tiredness Recognition. It is also available with Apple CarPlay, Android Auto and Mirror Link. The Xcellence and FR are the top of the range choices, which will obviously cost you more. The Xcellence comes with 17″ alloys, SEAT Drive Profile (choose driving mode; Eco, Normal or Sport), and features elegant upholstery with decorative inserts and colour-pop stitching on the steering wheel and seats. The FR trim also comes with the driving modes as well as 18″ alloy wheels, panoramic sunroof, double exhaust and black upholstery with bold contrast. It’s the sportier of the two higher range options and our favourite of the trims. The SEAT Ibiza is out now and prices start from €14,995 for the S Trim, €17,335 for the SE Trim, €18,745 for the Xcellence and €19,465 for the FR.